Do you want to lose weight? Have you tried lots of diets before? Do you feel stuck with bad eating habits and not sure how to change them? Are you fed up feeling unhappy with the way you look? “I’d certainly felt all these things at one time or another before I started the Body Rescue plan. I had two stone to lose but couldn’t shift it. I knew I wasn’t eating a particularly healthy diet but I couldn’t motivate myself to change it. 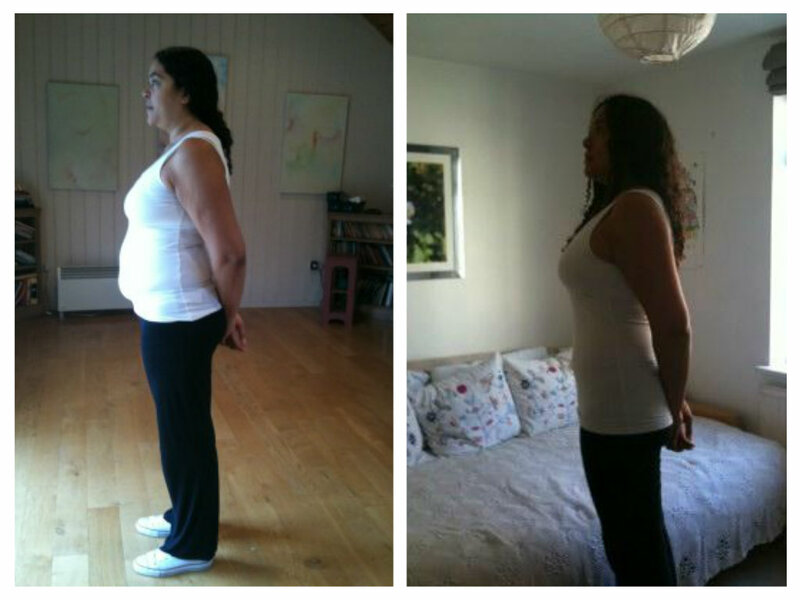 Then Christianne stepped in and told me if I followed her programme I could lose that weight in just 12 weeks. I’ll admit I was intrigued – but I still didn’t think I’d be able to do it. When I read the first two weeks of the diet plan my fears were confirmed. No sugar? No alcohol? No caffeine? I thought there was no way I’d be able to give them up. 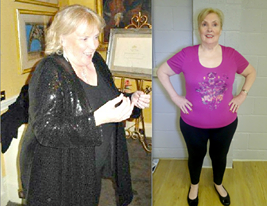 But with summer looming I was determined to do something and with Christianne’s encouragement I started the programme. I’m not going to lie- the first week was tough. But by the end of the week the headaches had lifted and I started to feel better. A few days after that I felt great. I started sleeping well, whereas before it had often taken me a long time to fall asleep, now I was suddenly out like a light the moment my head hit the pillow. When I woke up in the morning I didn’t feel tired and as the weeks went by my energy levels soared. And then there was the weight loss. In the first two weeks alone I lost 8lb and after that it just kept coming off. Within a fortnight my eating habits had changed completely. Despite being on a “diet”, I didn’t feel hungry. By cutting out unnecessary sugar, I stopped craving it. I stopped grazing on food throughout the day and instead focused on eating healthy, nutritious meals. I followed Christianne’s advice about exercise, mixing cardio workouts with resistance exercises. I started doing yoga and pilates. Despite initially being a bit sceptical about the more alternative elements such as visualisation and positive thinking I did them anyway. And do you know what? They worked. Within a few weeks I felt different. Happier, calmer and confident I was going to succeed. If diets in the past have left you feeling miserable or you think you can’t achieve your goal, then this could be the plan for you. The whole ethos behind Body Rescue is learning to feel good about yourself. The plan is full of brilliant exercises to help boost self-esteem and confidence while encouraging you to be kinder to yourself rather than critical. 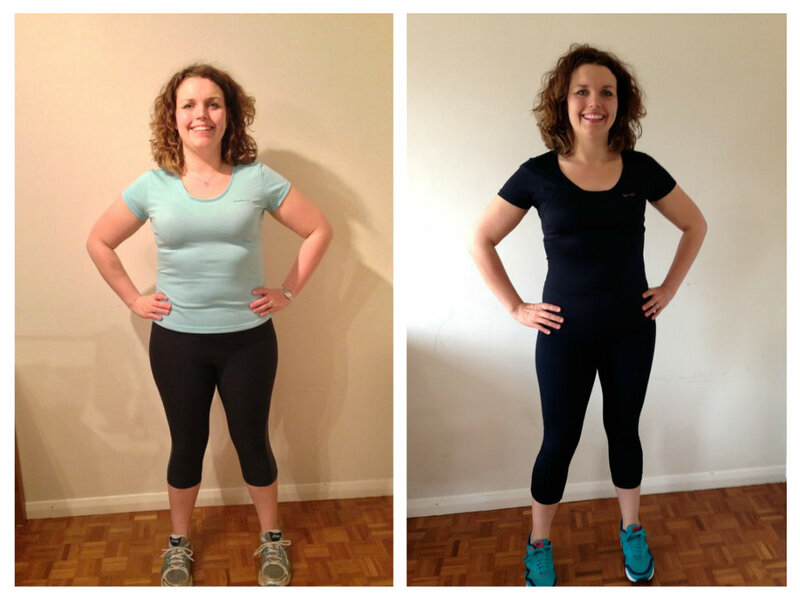 “When I started training with Christianne I had no real idea of the magnitude of the change I was beginning. I went with the hope of losing some weight and having more energy. I didn’t know how well it would work or even if it would work. Like many people, I’d just lost all motivation to try to lose weight and get fit. I’d tried gyms and diets but nothing seemed to work. There was always an excuse to avoid trying to eat better or exercise and I was just getting fatter and more tired. With work becoming increasingly challenging, I reached a point where I felt I needed to have a big push (I think in my mind it might have been a last big push) to try to do something to improve my health. 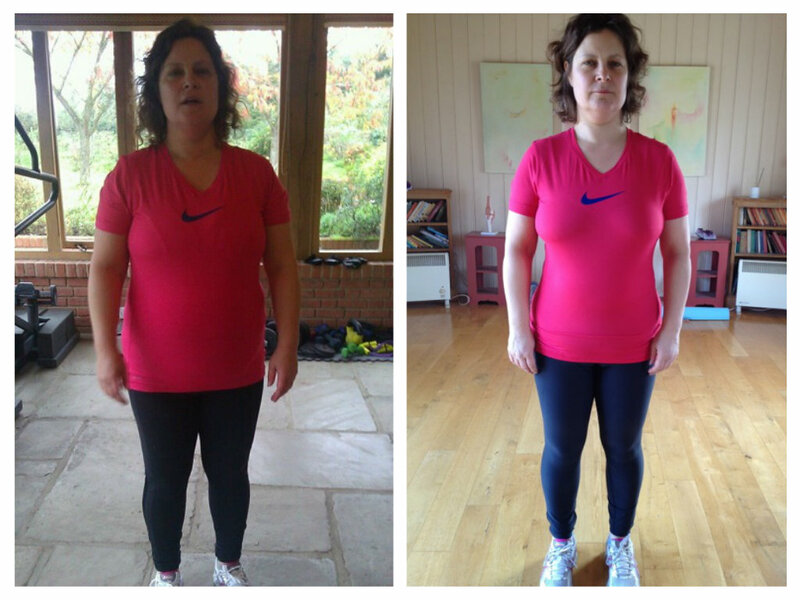 Christianne transformed my view of exercise, diet and what was possible. I lost 3 stone and 10 inches off my waist. I had to throw away almost all my clothes, but that was such a positive, cathartic change. I’ve found I get compliments on how good I look. Who knew my male friends were so aware of these things?! I’d thought I’d have trouble finding the time to exercise, but miraculously, in taking time to work out, my work got better as my mental acuity improved as a result of the fitness. I became more effective and less tense. Christianne’s combination of resistance, cross training and yoga worked really well to keep everything varied, building up core strengths but also developing overall fitness. I was thinking about having a goal to see just how far this new found health could take me and agreed to enter a triath- lon -which for the old me is nothing short of miraculous. But such is the confidence that my newfound form has given me. I feel I understand enough about exercise and diet to keep on developing my fitness and be able to participate in physical activities without fear of coming in a very poor last. I loved the exercise plan, particularly the Pilates style exercise and some of the cardio and yes, definitely my body shape has changed. The exercises were easy to follow and I didn’t need any fancy equipment. The first week of detox was quite a chal- lenge, the second week was a lot easier, and by the time I got to the maintenance plan I found it really easy and delicious. I am far more conscious of what I put in my mouth and I am never hungry, I am generally satisfied after every meal and am no longer thinking about food all day long. My energy levels were very low before I started this programme and now I feel worlds away from how I felt 3 months ago, and my complexion is the best it has ever been!! My friends all tell me I look amazing, and I can’t believe the difference. If I can do it, anyone can do this, I have had a back injury to contend with and two young children. I absolutely recommend Body Rescue de- tox, mindset and fitness plan to anyone. I wanted to say thanks for my programme. I now have an easily sustainable healthy diet that I really enjoy and shifts the pounds in a steady way. I am now lighter that I was when I got married nearly 20 years ago and have every confidence that I can achieve a physique that previously seemed completely impossible. Christianne’s method is particularly effective because she takes time to understand your circumstances; she also investigates mindset and motivation issues that could derail any progress. In my case I’m a busy, single working mother of three, which can be overwhelming. Christianne doesn’t make me feel bad if I have gone slightly off track with exercise due to this – she just helps me to work out what will work and methods to keep me motivated. 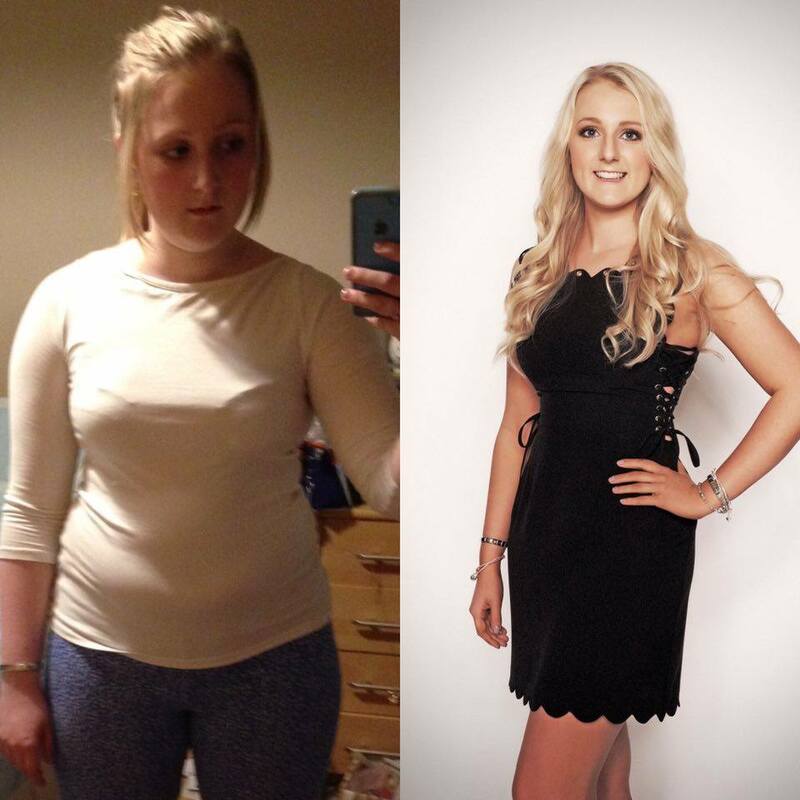 “I lost 2.5stone in 12 weeks on The Body Rescue Plan and went from a size 16 to a size 10. After enduring decades of issues with fluctuating weight, body image & nutrition I have finally found the perfect lifelong plan for me. Over the years I have gone from size 6 to size 16. This hadn’t been a steady, upwards progression but a cycle of going up rapidly and then down just as quickly and back again. I have been, like so many, a ‘yo-yo’ dieter. I have, indeed, tried many diets and they have worked well in so much as I lost weight doing them, however, once I reached the weight or size I wanted I found it hard to maintain. They served their purpose to reach a short term goal for a special event but, for me, they weren’t ever going to be the long term solution I needed. I had major issues with food. At times I would survive on one banana a day and other times I would binge, sometimes eating a whole cheesecake or fast food at breakfast time and take aways night after night. I even ordered twice as much so I could have the same binge the next day for breakfast! Imagine my poor arteries! Previous diets involved counting calories, tiny portions, flavourless foods and, in the main, a general feeling of deprivation. Even when I found systems which worked better for me I didn’t feel ‘well’. 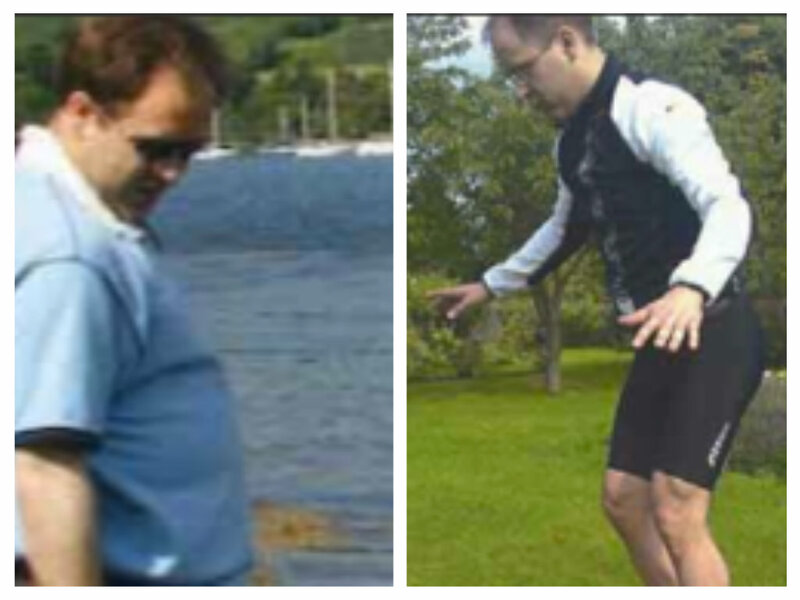 I often felt shaky and I certainly wasn’t in shape as I never fully committed to exercise. I had become a master of disguise. No one could ever really appreciate just how out of shape or large I had become as I used every trick in the book to conceal it from the world. to look slimmer. I also deprived myself of many social events as I was too depressed about how I felt I looked. It’s been a struggle to find any photos of me at my most unhealthy due to the fact I would ask friends to delete them.This year I turned 42. It dawned on my that if I continued this way not only would I carry on being enslaved by food but my health was beginning to suffer and I could be headed towards an early grave. I was considering seeking professional help when I was introduced to Christianne. Christianne was very honest and told me she needed 100% commitment from me. I was ready to commit. I wanted to change for life, not just for a bikini or occasion. More than anything I wanted my health so I could be around for my children as long as possible. I was 25 when my father died due to heart disease. There’s so much he’s missed out on and so much we’ve missed by not having him here. The greatest tribute to his memory I can offer is to be well so I can see his grandchildren, my children, through all of their different life stages and maybe even, one day, become the healthy grandparent he didn’t get the chance to be. The new lease of life I have been given through using the Body Rescue Plan is beyond anything I can put into words. The food tastes so much better now I’ve cut out sugar, I enjoy preparing and eating meals with my adult children and Christianne’s recipes are absolutely delicious!! I make the time for my exercise and always feel better for doing it. I can finally see some tone and definition in my body. Even when I was a size 6 I wasn’t toned, just malnourished! 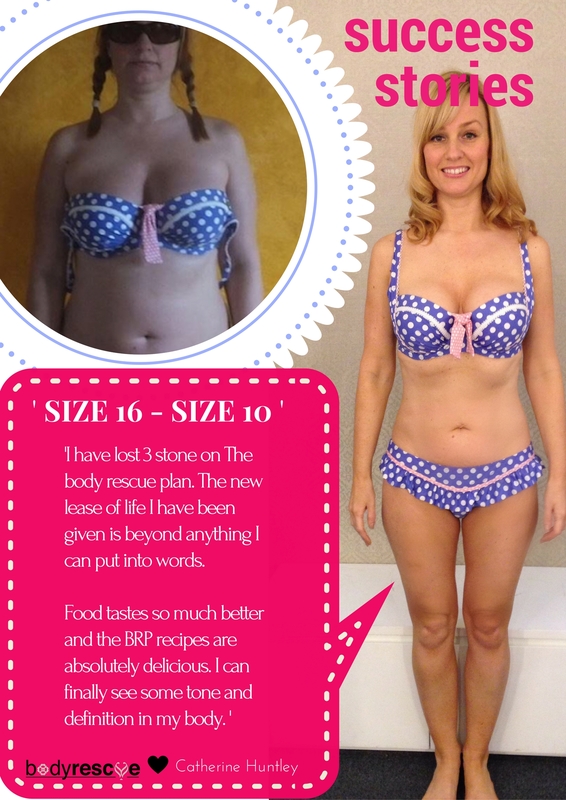 “I have been on The Body Rescue Plan for 12 weeks. It is extremely simple to follow and I suffered no hungry feelings at all, which was marvellous, you can have some lovely recipes too. From week one the weight started to drop off. to improve my fitness and lose weight. I have been an asthma sufferer for about 6 years and had been diagnosed with Type 2 Diabetes for about a year. Whilst the boot camp was a great experience I knew I would need something that would educate me for the long term and keep me focussed on a daily basis. I was looking for a plan; not a diet but a lifestyle regime when I came across the Body Rescue Plan. I devoured the body rescue plan book in the first couple of weeks. For me the Food science was the most beneficial. As someone with a busy job that takes me away from home so much I had been a microwave addict. I never had any real interest in cooking and recipes, they always seemed so complicated and time consuming. What surprised me and excited me about Christianne’s food was how simple it was to make and how delicious the food. I would make different versions of the same thing and cook on a Sunday for the whole week so if I came home from work late, all I would have to do is heat it up. For me planning my weekly meals is of the utmost importance. I particularly love the home made Muesli and the Lentil Curry. The first two weeks were the hardest and giving up tea and coffee (I drunk about 6-7 mugs a day) was really hard but I got through it and can honestly say I don’t miss it at all anymore. I found a love of hot water with lemon which I drink throughout the day. I no longer drink diet fizzy drinks and if I’m out for dinner I stick to mineral water. If I eat in a restaurant I tend to stick to Grilled fish and salad. I thought and love the stretching which relieves the tension as I spend a lot of time hunched over a steering wheel. The meditation I found a little more difficult as I am easily distracted and but I’m getting there. My life has drastically changed in the past 12 weeks. 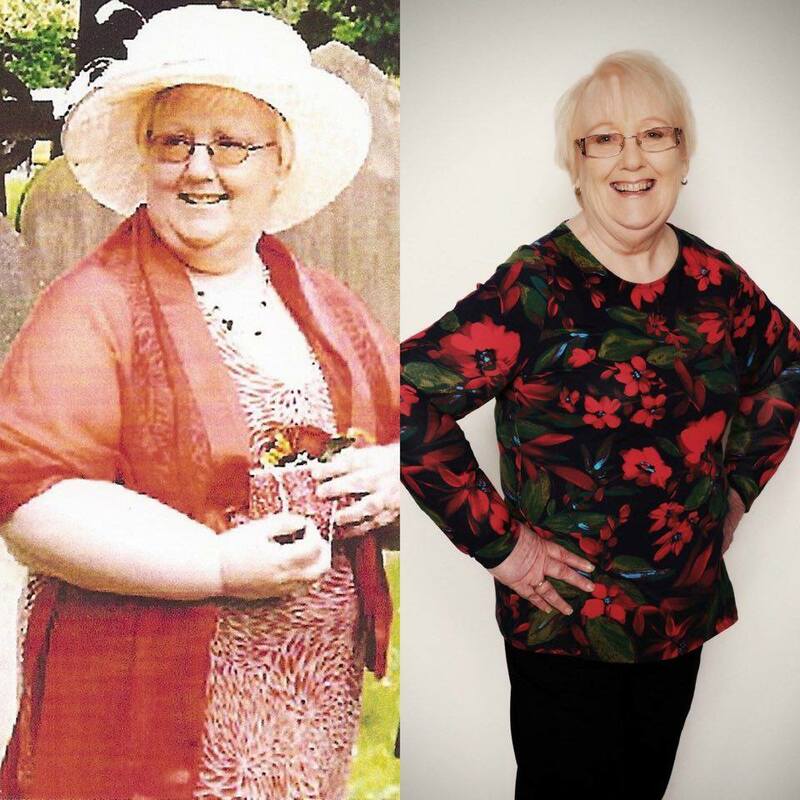 Firstly I have lost 2 stone and whilst I still need to lose another 1 1⁄2 stone I KNOW I am on the right track to lose it. I will remain on the plan until I lose the last bit. major impact on the foods I eat. It has introduced me to new foods that I would never have tried before and I have found some new favourites along the way! This is the only plan that has ever helped me achieve such an amazing result and make me feel confident about myself. I had got to a point where I had no motivation in completing any plan, simply because I wasn’t getting much of a result. But this plan has changed my view of this because of the result I have had. the energy bars, chocolate biscuits and cookies which are delicious if you have a sweet tooth! 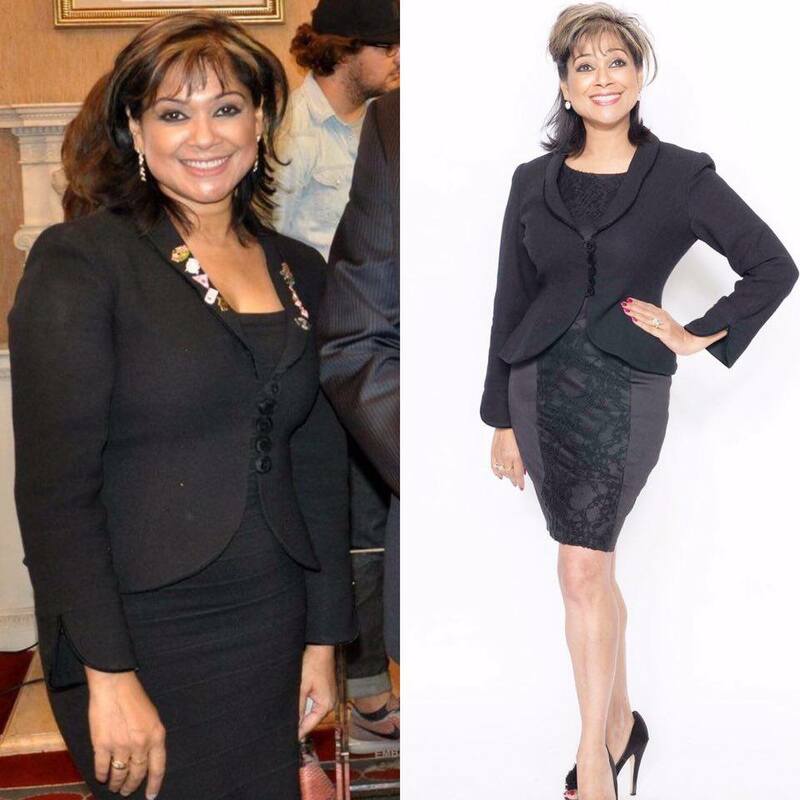 “I have tried low fat diets and fasting before but the weight just creeps back on. Seeing Catherine Huntley and how fab she looks, I decided to look into The Body Rescue Plan. My daughter also wanted to lose a few pounds and change the way she was eating so we both decided to start the plan together at the beginning of March. We found it a lot easier than expected once getting over the first three days in which we had a bit of a headache. have never made before and I also eat a lot more variety of vegetables and enjoy them. So at the end of the 12 week plan I have lost 27lbs and my daughter has lost 23lbs. Not only have we lost weight but we feel so much better in ourselves and we plan to keep up with the healthy eating. For me, there have been other positives resulting from following this plan. I sleep so much better at night and I don’t have aching hip joints like I used to have each morning. “I’m 53 years old and over the years I’ve yo yo dieted. I’ve done so many diets… weightwatchers/the F Plan/Herbal Life/Atkins to name but a few. And yes I lost weight. I would practically starve myself until “that special event” and once the event had passed I would relax and go back to good old Helen who ate and drank a lot. The “big girl” ….”great appetite” and that’s how my life was. But here I am sitting at home on Saturday 11th April 2015 the lightest, fittest and most content I have ever felt in my whole life. 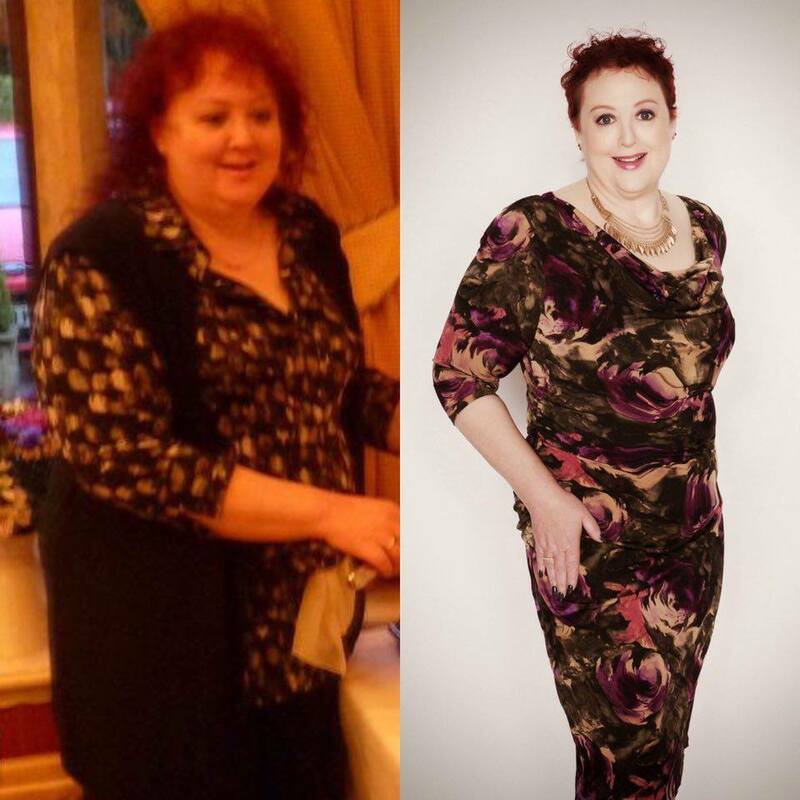 I have lost 1 stone 9lbs and I have dropped a good 2 dress sizes. And why? Because I went on The Body Rescue Plan. As I’m writing this I actually feel quite emotional. I have never been in such a wonderful place before. No this didn’t happen overnight I have had to work at it …..but 12 weeks out of a whole life time is nothing. When I thought about writing this piece I just kept asking myself how can I get it over to people that I am just an ordinary girl who has always liked her food and drink and that I never thought I could look or feel like this. And if I can do it PLEASE believe me when I say anyone can do it. To me Christianne is an angel on earth. She doesn’t judge she is kind caring and hilarious! She knows we live ordinary busy lives so things need to be easy and simple to follow. What she has written and developed has worked for all sorts of people . This isn’t a diet and this isn’t just a book. This is truly a way of living and the principles of which I know I will follow for the rest of my life. Yes the foods are delicious (especially the nut bread and curried lentils!) Yes the exercise programme is so easy to follow and makes you feel strong and fit but one aspect of the whole programme that has helped me enormously is the mind-set work. Anyone can stop eating and lose weight. But to understand why you eat so much in the first place and to be aware of it ….well this is what takes this programme to another level for me. I now understand I eat too much to fill an emotional hole in me. I know I eat too much when I am tired or tense. But gradually over the last 12 weeks I have learnt this and I have learnt how to stop this self-sabotage and to believe in myself and want to care for myself. I can honestly say this programme has changed my life. I thought I can’t as I’ve got a big dinner at work….I’ve got a family party…I’m going on a girls away trip…so I can’t start until I have got a completely free diary. But as we know this isn’t reality there is always something big or small that we can use as an excuse not to start. But Christianne’s mind-set programme helped me to overcome these anxieties. I went to all the events, I followed the principles of the programme and after the event I felt stronger because of what I had achieved. This programme is something anyone can follow. The food plan and recipes are so easy and so tasty. I haven’t felt hungry. In fact some days I have struggled to eat everything! The exercise programme you can do anywhere …at home or even in a hotel room ( as I have done!). This has been one of the most amazing journeys of my life and without Christianne I would never have experienced it. I wish everyone could have a Christianne in their lives and with this book or online you pretty much can! Trust her, believe in her as I have done and I can honestly say it will be the most wonderful experience…..it will be life changing. “It’s changed my life in so many ways- I feel more alive. The previous diets I tried involved counting points and recording them down, which was not only difficult, but it was easy to forget. With Body Rescue, you can either have a food item or you can’t. It’s extremely straightforward and it is the first plan that i’ve been able to stick to. Over the course of 8 weeks I’ve lost 1 stone and 10 pounds. I feel more awake and healthy. I am no longer falling asleep, I am completely energised. I would recommend this plan to anyone who would want to try it, my whole family have done it and loved it! My favourite recipes are the sweet potato brownies and the sweet potato curry! “I decided to take my life into my own hands and do the body rescue plan. Before I did this plan I was starting to become despondent with myself. My weight started to creep on and on a little bit more. Every year I noticed my waist getting bigger inch by inch. All of a sudden I was a size 14 from a size 6 and I thought to myself, is it too late to do something about this? And then my friend told me about The Body Rescue Plan and WOW what a difference I am now. The best part for me, and the most encouraging was that my weight came off so quickly in the first 2 weeks. You get to my age, which is middle aged and you think that’s the middle aged spread and its never going to go and they tell you it happens. So when I saw the weight off I was really encouraged. At first I was a bit skeptical, is that really what the scales were saying? But it did work and I felt amazing and it made me keep going. 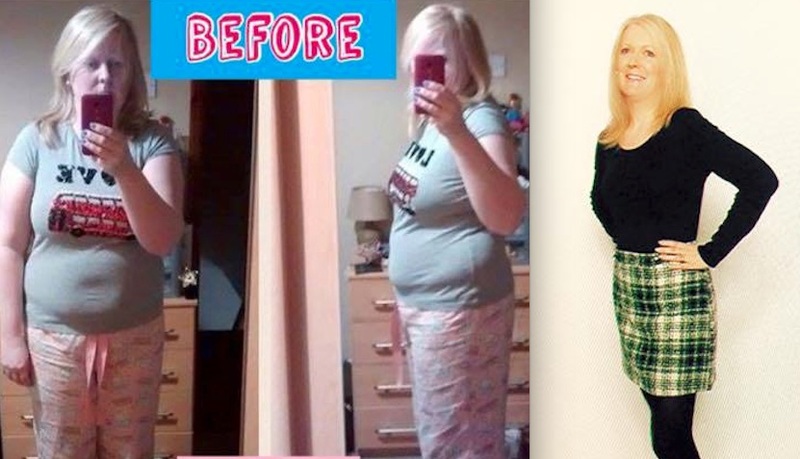 The most incredible thing is that I have lost 6 inches around my waist, I was 31 inches and now I am 25! Which is what I was when I got married 27 years ago. The body rescue plan has changed my life in so many ways. I am so much happier. When I first read the book I thought it won’t work for me because nothing else has. But it really changes your mindset and helps you with healthy eating. Even my husbands portly tummy has gone totally flat now.